One Man’s Dream at Disney’s Hollywood Studios first opened its doors October 1, 2001. This was exactly 30 years from the day that Walt Disney World itself welcomed its first guests. The walk through attraction was a tribute to the man who started it all with a little mouse named Mickey. Chock full of memorabilia from Walt’s movies, TV shows and theme parks, ending with a short movie about his life, this exhibit were a Disney geeks dreams come true. I spent many hours there myself, soaking it all in. 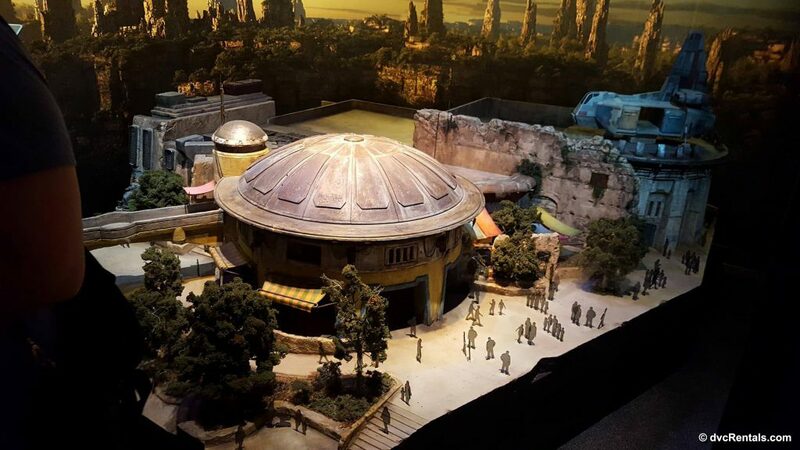 16 years after One Man’s Dream made its debut the Imagineers decided to make some changes. Initially I thought they were going to completely replace the attraction, and I was very sad when I thought about it leaving. However I was very happy to learn that while some of the exhibits were removed, that a good portion would remain and other things would be added. It’s still a wonderful place to learn more about Walt Disney, and the additions and changes are well thought out and interesting. 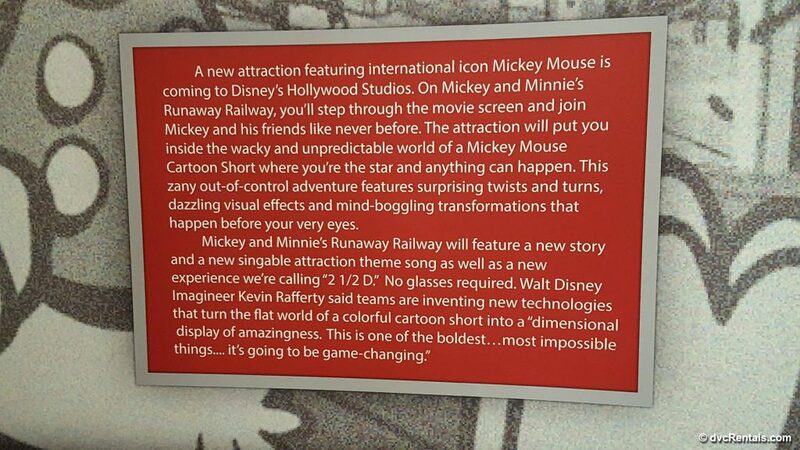 The re-imagined attraction is called “Walt Disney Presents: From Mickey Mouse to the Magic Kingdom and Beyond”. To find the attraction enter the park and walk straight down the main street, Hollywood Boulevard. As you approach the Chinese Theater at the end of the street, bear to the right and go down the steps. At the bottom of the steps (there is also a ramp for strollers and wheelchairs) turn left and Voila! You have arrived. Because there are no rides inside, the building is rarely crowded. Simply enter (there are no Fast Passes, nor are they needed) and start to browse. For those reading who have seen the original One Man’s Dream attraction, the revamped version is set up very much like the original. Although the building is continuous it winds around and there is an illusion of going from room to room. It is set up chronologically, starting with Walt’s black and white works and continuing on through the years. A whole section is dedicated to paintings inspired by Mickey Mouse short films. You will also see many a homage to the full length films Disney made, both animated and live action. 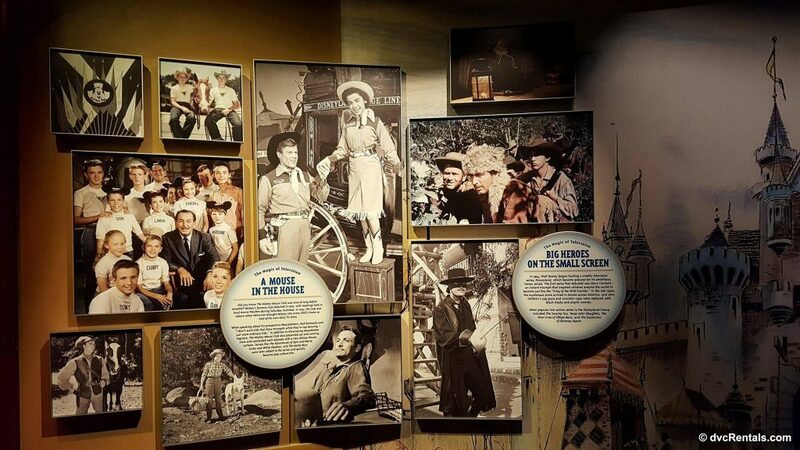 There is a mural of Walt’s television successes, including the Mickey Mouse Club, Zorro and Davy Crockett. As you continue along you will see an area dedicated to the 1964 World’s Fair in NYC. For those who may not be aware, Walt had 4 attractions built for that Fair: Progressland (which we now know as the Carousel of Progress), Ford Magic Skyway, Great Moments with Mr. Lincoln (still at Disneyland and a precursor to the Hall of Presidents in the Magic Kingdom at Walt Disney World) and It’s a Small World. All but Magic Skyway were shipped to Disneyland once the Fair closed. Eventually the Carousel of Progress was sent to Walt Disney World in Florida, where it remains to this day in Tomorrowland in the Magic Kingdom. Walt Disney had been thinking about expanding his theme park concept to other locations and reportedly saw the World’s Fair as a proving ground for East Coast audiences. As it turned out, all four of the exhibits Walt contributed were among the Fair’s most popular. This gave Walt the confidence he needed to open a park on the East Coast. Cool Fact: The very same month that the fair opened, in April 1964, Walt Disney bought the first piece of land in Florida that eventually became Walt Disney World! But before we get to Walt Disney World we have to start with the park that began it all-Disneyland. 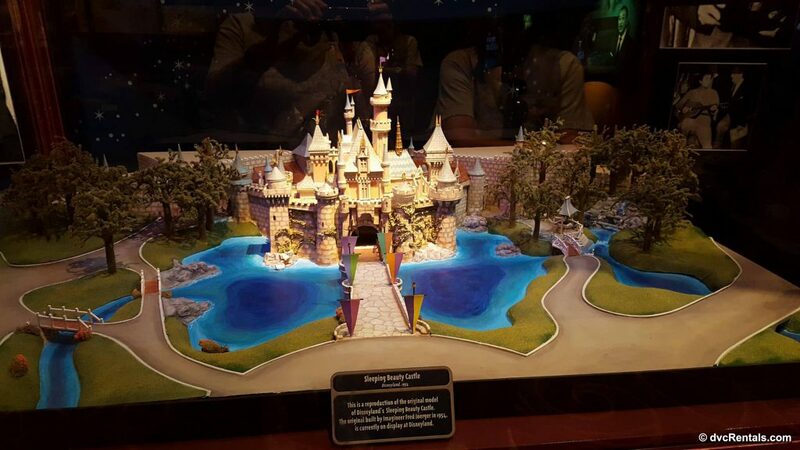 In “Walt Disney Presents” you can view the original plans for the Disneyland Resort in California, along with scale models of some of the attractions from that park. It’s fascinating to view the plans and see photos of the developing park that Walt and his Imagineers dreamed up. 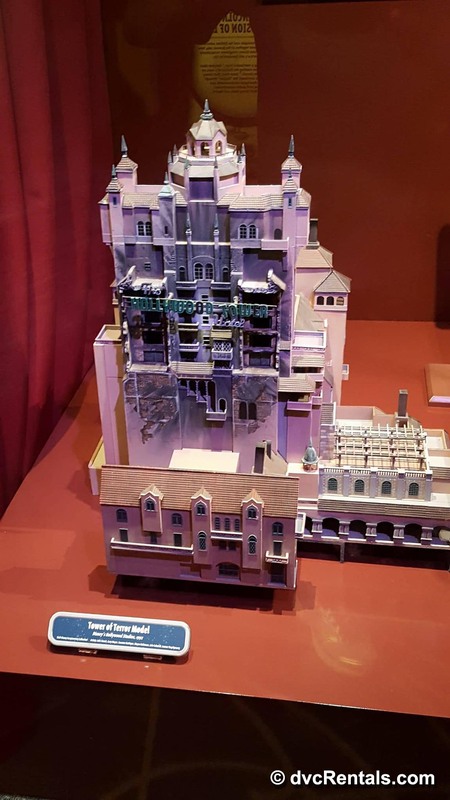 And it’s just plain fun to see the scale models of attractions that were originally at Disneyland but were copied and are still at Walt Disney World today, I.e., Jungle Cruise. All of the Disney Parks on Earth, including the latest one in Shang Hai China, are represented in the building. 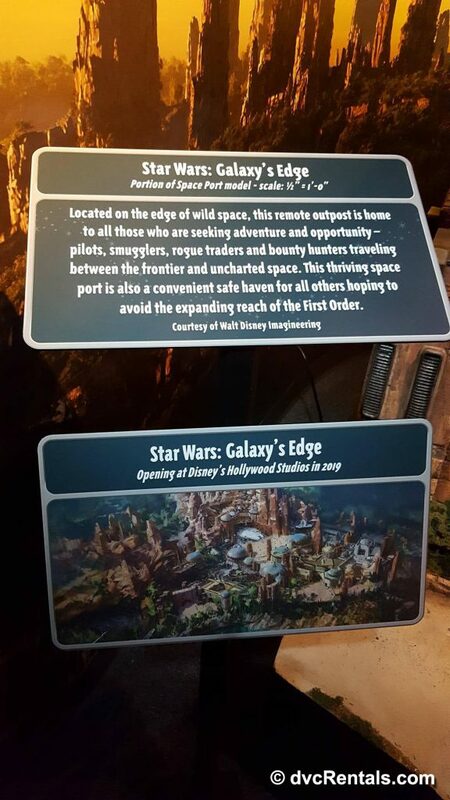 You will see photos of the various parks being built, scale models of well-known park attractions, (two examples are the entire area that makes up Disney’s newest park on the West Coast-Disney’s California Adventure, and Walt Disney World’s Spaceship Earth in Epcot). There are a number of well-done photos of the final realization of the completed Disney parks. Once you have seen the completed work it’s time to check out what’s being built right now. The final area in the building is the place to find full scale models of the two new attractions being added to Disney’s Hollywood Studios-Toy Story Land, scheduled to open in the Summer of 2018 — and Star Wars Land, scheduled to open in 2019. If there is a Cast Member available talk to him or her, they know a LOT about what is being planned. For example, while I was talking to one of the Cast Members about Toy Story Land she mentioned that once it’s open you will enter Toy Story Mania from the opposite side of where you enter now. 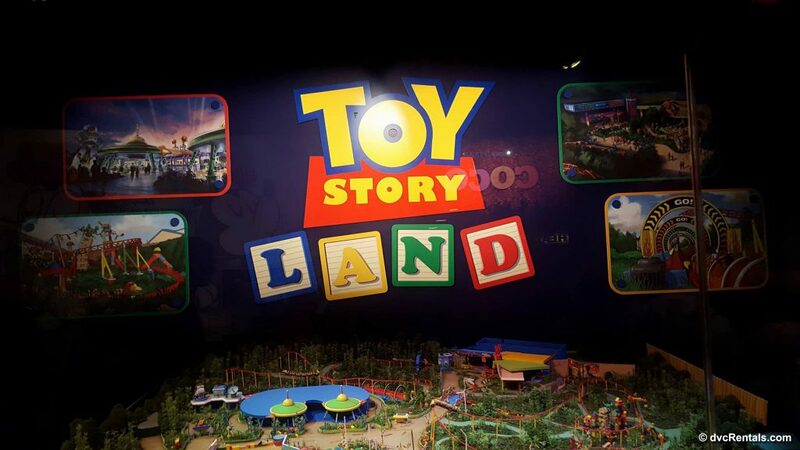 All the attractions for Toy Story Land will be in the area behind the Toy Story Mania building. In this same area you can also find a fairly large mural showing the new ride that will be where the Great Movie Ride previously was. 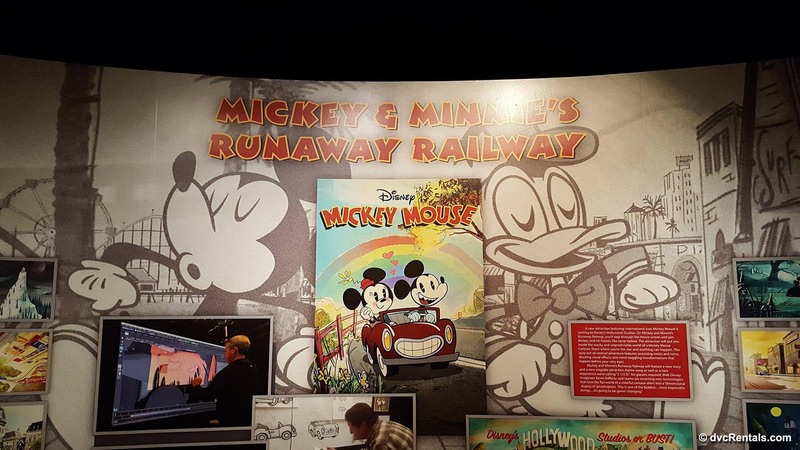 Entitled “Mickey’s Runaway Railroad”, the ride looks like a fun family adventure. There are two other elements to enjoy inside this attraction, but they vary and what is there now may not be there your next trip. There is a character Meet and Greet, which currently has Groot and Star Lord from the Star Wars series. 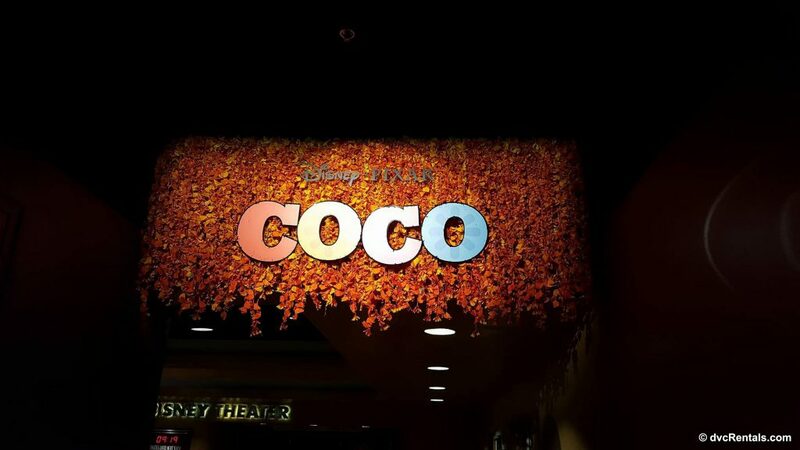 And at this time there is a preview of the movie Coco in the theater at the end of the attraction. Both of these will vary depending on what Disney is showcasing at the moment. The film One Man’s Dream still plays occasionally if there are no upcoming films Disney wants to preview. I would recommend this attraction for older kids and for adults. 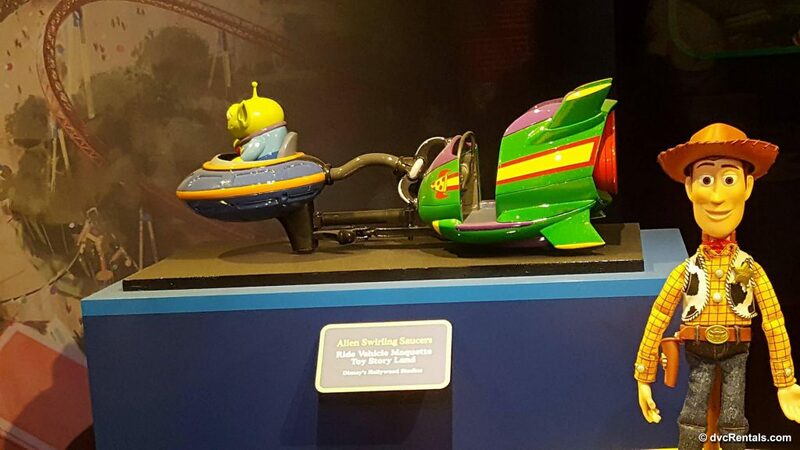 Smaller Mouseketeers might be a little bored here, the attraction has more of a museum feel–A very cool and interesting museum, but certainly not as exciting as a theme park ride. If you love Walt and/or any of his movies, TV shows or theme parks it’s an awesome experience. I really like what they did with the place. Even the “older” exhibits got refreshed with new and brighter signage, and the new additions are fascinating. 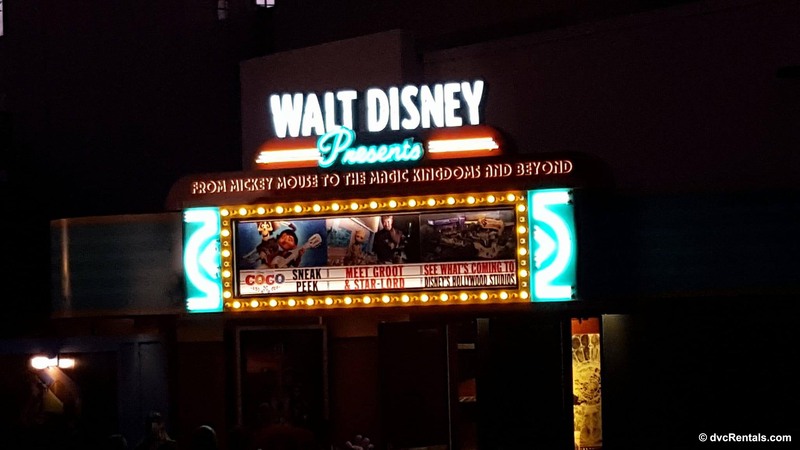 It’s a wonderful experience for those who already are familiar with Walt Disney’s history. And for those who are not, it’s a great place to learn about the man whose ideas give you and many others enormous pleasure.